This paper reports the stage of our research about the corporate identity of ipad apps. The research objective is to develop a system to aid the designer to potentiate the transmission of brand identity in your app. At this stage, we tried to determine the variables that contribute to this tool icon considered nowadays and that expresses the brand in various media. 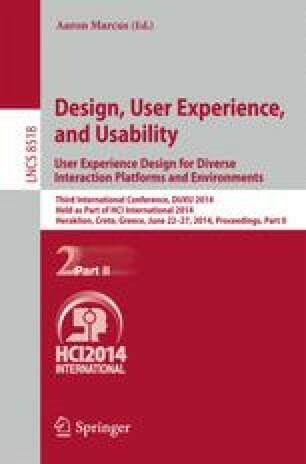 In this paper the analysis of a Brazilian venture of selling apartments that were created on the system of aid visual language created for a thesis, which used techniques of Design of Information at this presented app, combining cultural studies to geometric modeling, Gestalt and Semiotics.